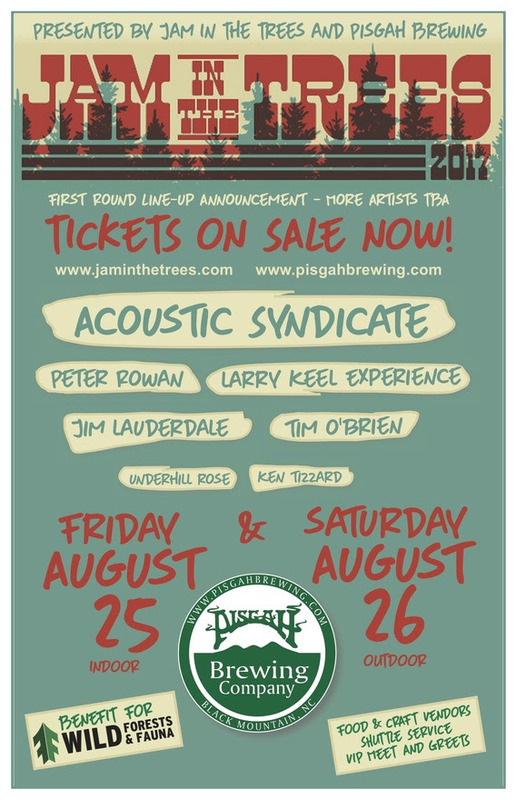 We will be joining the ranks of Tim O’Brien, Peter Rowan, Jim Lauderdale, Acoustic Syndicate, and the Larry Keel Experience at JAM IN THE TREES ’17 at Pisgah Brewing Company. Tickets are on sale now! Grab them quick!